Free Fire is the mobile Battle Royale game that can compete more with PUBG Mobile. Their graphics will not be the best but they give the opportunity to anyone with a basic mobile to be able to download it and enjoy it. One of the reasons why Fortnite has not hit so much on mobile devices is because of the large amount of resources it requires to be able to run the game. Free Fire is the opposite and that is why it has managed to get millions of players to download it on their cell phone. Do you already with Free Fire on IOS or Android with the following link that we leave you below. 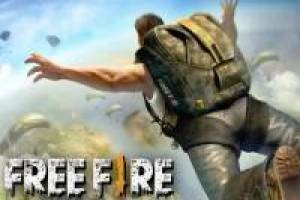 Enjoy the game Free Fire, it's free, it's one of our Battle Royale games we've selected.